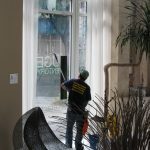 Imagine having your home, condo or business property restored to its original pristine condition. 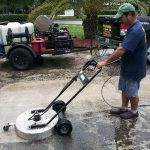 We provide unique solutions to achieve these results with our residential and commercial pressure cleaning services. 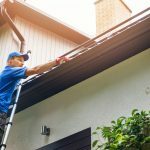 We use our professional judgment to apply just the right solutions at the right pressures to perfectly restore the appearance for your home’s exterior, decks, driveways, patios, and roofs. 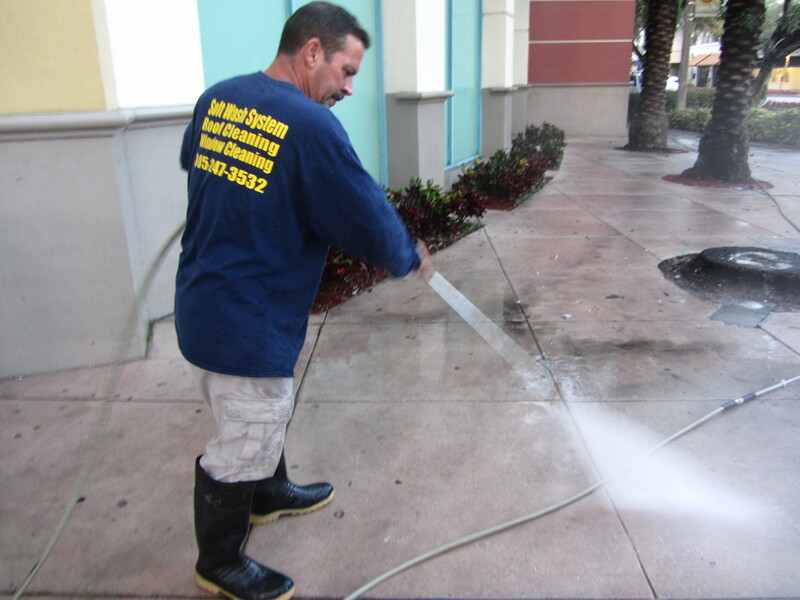 For commercial property owners we handle your building’s exterior, sidewalks, storefronts and awnings. 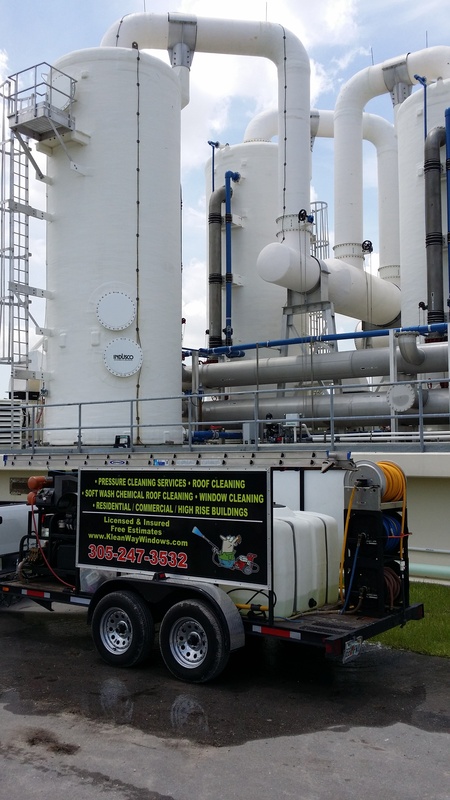 We service clients throughout South Florida. 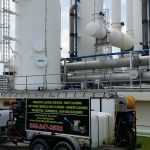 We have been in business in South Florida for more than 20 years, and are fully insured with workers compensation and liability coverage. Our expert skill and experience combines with our specialized equipment to provide you with incomparable services and prices. 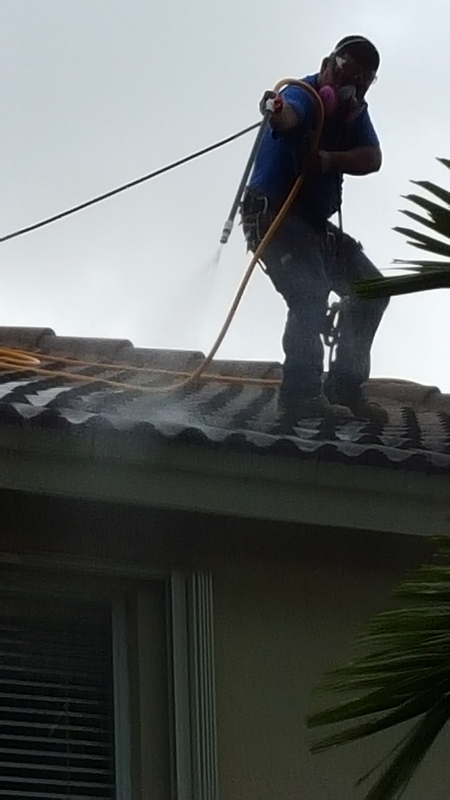 In South Florida algae, mildew and moss can be found on almost anything, including siding, driveways and glass. Mildew growth if left alone can cause health problems and allergic reactions in addition to creating an appearance of a very dirty surface. 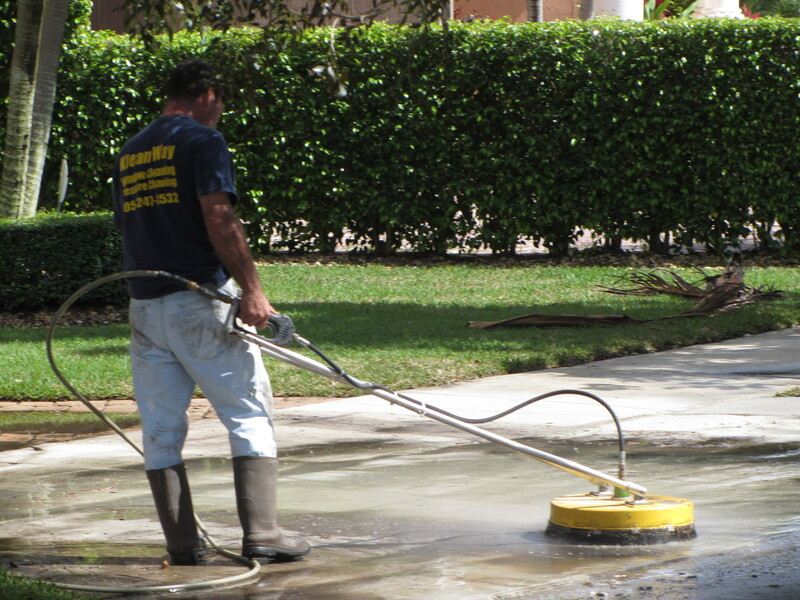 South Florida is under attack by UV light rays, sand, dust and wind that all cause surfaces to discolor. Mold, smoke and acid rain exacerbate these conditions. 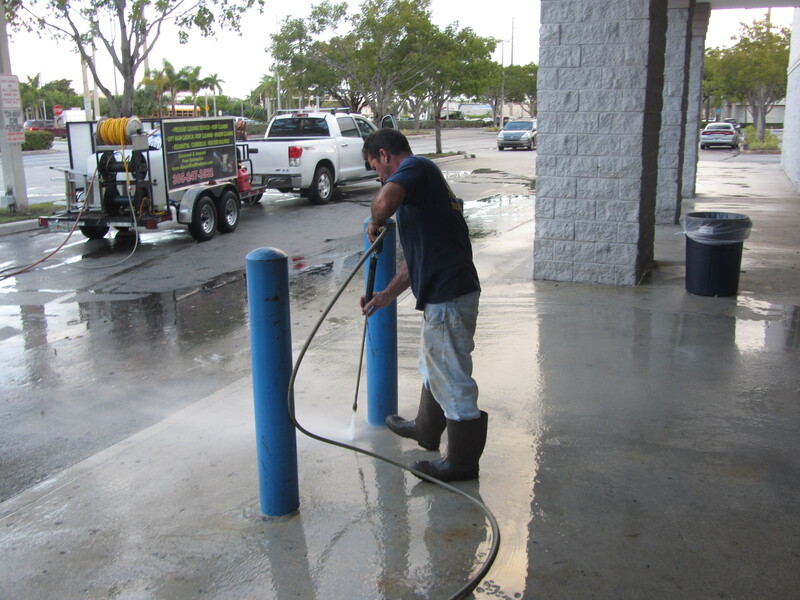 If you see black discolorations and streaks, this is normally caused by algae or mildew. 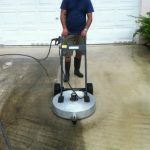 A proper pressure cleaning will remove all of these stains. 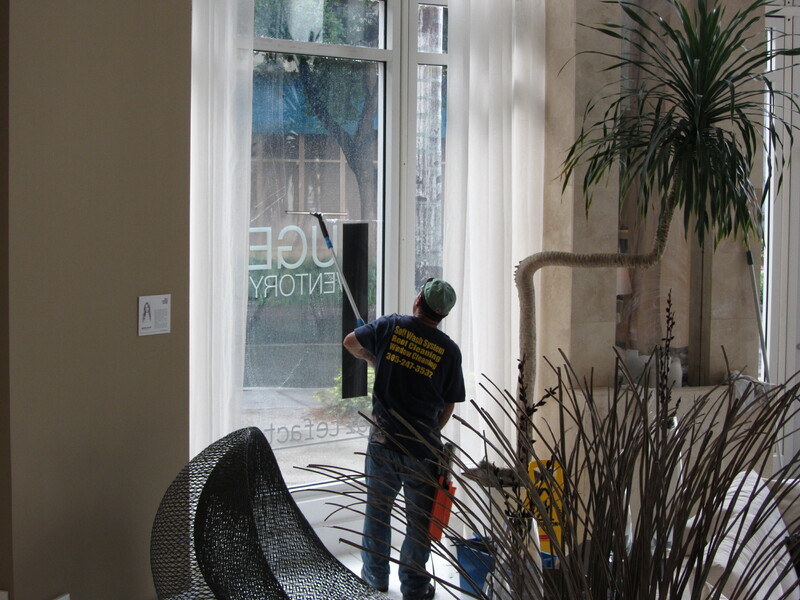 We can restore the natural beauty of your home or business. If you have a parking space, driveway or sidewalk that is affected by mildew, mold or grease, you actually have a safety hazard for anyone entering your property. 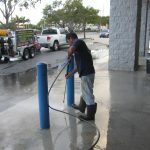 We can eliminate from your parking garage, driveway or walkways all types of stains, including grease and oil. We can remove these dangerous contaminants and provide you with a safe environment. 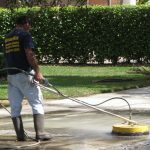 We can not only pressure clean but seal your property’s surfaces after the professionally applied cleaning is completed. This will extend the life of your property. Regular maintenance will keep your property from needing extraordinary maintenance. 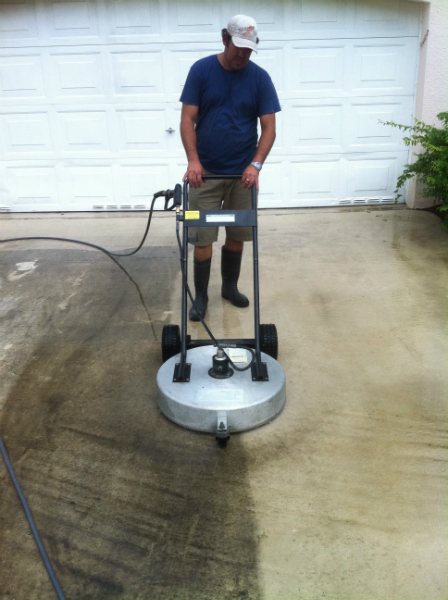 If you have a home, professional pressure cleaning will create value with a dramatic, transformed impact. If you have a business, a professional appearance attracts customers. We’ll leave the area spotless and safe. 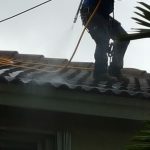 Using only our licensed, insured and uniformed crew with our state-of-the-art knowledge, we enhance the value of your property while restoring it to prime condition. 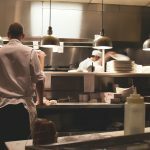 Your home or your business is likely your largest investment. 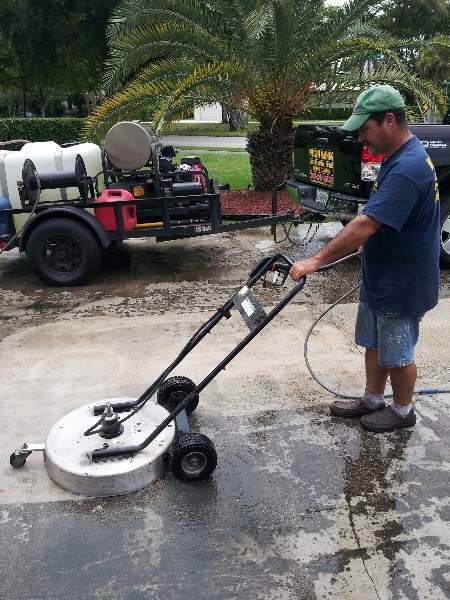 We protect and preserve your property and eliminate any mold issues as well. We deliver peace of mind and quality. We provide solutions that will complete your project timely and within your budget.